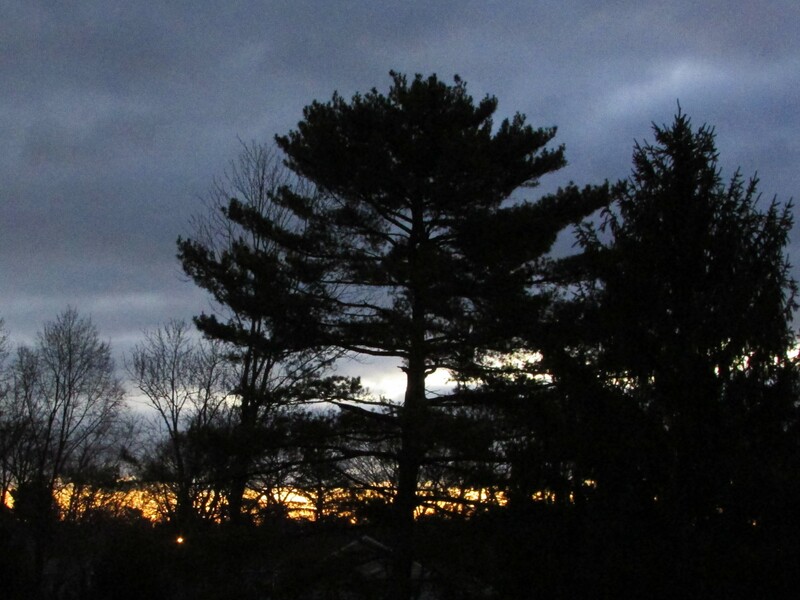 If you’ve read my blog with any regularity you might recognize these beautiful pines silhouetted against the sunrise. This is the view from the room where I begin most of my mornings. The sun is rising earlier each day…Hallelujah! Spring is definitely around the corner. I hadn’t taken part in Skywatch Friday for quite awhile, and thought perhaps this sunrise was a good starting point for my day and blog posting. Check out the site: Skywatch Friday and take part in the challenge too. Excellent quote from Genesis for sky watchers! You are welcome, and thank you for visiting mine in return. Beautiful photo! Have a wonderful weekend! The silhouette of the pines against the morning skies shows that in spite of the changing seasons, some things remain the same year after year, like the faithfulness of our Lord. The wonders of nature indeed renew our faith and these signs show us that God still reigns over the universe. lovely shot! love the silhouette!